Go for a jaunt from Kununurra to Wyndham to see Five Rivers Lookout about 1h 35 min away. Spend the 12th (Fri) exploring nature at Mirima National Park. On the 17th (Wed), spend a fun day on foot with Walking tours. There's still lots to do: explore the activities along Ord River, don't miss a visit to Warmun Art Centre, take in breathtaking views at Emma Gorge, and take in the exciting artwork at Waringarri Aboriginal Arts. To see maps, ratings, traveler tips, and tourist information, refer to the Kununurra day trip planning tool . Vienna, Austria to Kununurra is an approximately 31-hour flight. Due to the time zone difference, you'll lose 7 hours traveling from Vienna to Kununurra. Traveling from Vienna in July, you will find days in Kununurra are a bit warmer (36°C), and nights are about the same (16°C). Finish up your sightseeing early on the 18th (Thu) so you can travel to Broome. Spend the 19th (Fri) wandering through the wild on a nature and wildlife tour. And it doesn't end there: stroll through Cable Beach, get up close to creatures of the deep with a dolphin and whale watching tour, identify plant and animal life at Malcolm Douglas Crocodile Park and Animal Refuge, and kick back and relax at Reddell Beach. To see traveler tips, photos, ratings, and other tourist information, read Broome trip planner . Traveling by flight from Kununurra to Broome takes 1.5 hours. Alternatively, you can drive; or take a bus. In July, daily temperatures in Broome can reach 35°C, while at night they dip to 17°C. Finish up your sightseeing early on the 22nd (Mon) so you can travel to Exmouth. Exmouth is a town on the tip of the North West Cape in Western Australia. Exmouth is known for adventure, beaches, historic sites, nature, and wildlife. Your plan includes some of its best attractions: have unforgettable encounters with a shark diving experience, stroll through Turquoise Bay, get a new perspective on things with Boat Tours & Water Sports, and enjoy the sand and surf at Town Beach. To see photos, reviews, traveler tips, and tourist information, read Exmouth journey site . Traveling by combination of flight and car from Broome to Exmouth takes 12 hours. Alternatively, you can fly; or drive. In July, Exmouth is a bit cooler than Broome - with highs of 28°C and lows of 13°C. On the 26th (Fri), you'll travel to Perth. Take a break from Perth with a short trip to Fremantle Prison in Fremantle, about 32 minutes away. 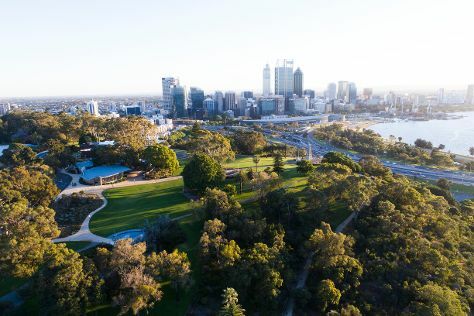 There's lots more to do: admire the natural beauty at Kings Park & Botanic Garden, meet the residents at Perth Zoo, kick back and relax at Cottesloe Beach, and pause for some photo ops at Kings Park War Memorial. For maps, reviews, photos, and more tourist information, refer to the Perth trip maker . Fly from Exmouth to Perth in 5.5 hours. Alternatively, you can do a combination of car and flight; or drive. Plan for little chillier temperatures traveling from Exmouth in July, with highs in Perth at 21°C and lows at 8°C. Finish up your sightseeing early on the 29th (Mon) so you can travel back home.